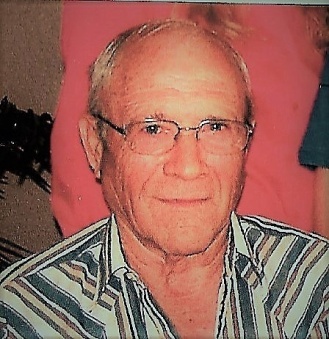 Harlan Douglas Heetland, 79, passed away at the Bruce McCandless Veterans Community Living Center, Florence, CO, after succumbing to pancreatic cancer. He was born April 16, 1939, in Sibley, Iowa, to Raymond and Florence (Glade) Heetland. Harlan grew up on the family farm near Hartley, Iowa. He graduated from Hartley High School in 1957. After graduation he enlisted in the US Air Force, and received basic training in San Antonio, TX. He was stationed in Lincoln, NE, where he met his wife of 58+ years, Bonnie (Sievers). They lived the majority of their married life in Lincoln. After retiring from the Nebraska Dept. of Roads, where he was supervisor of the grounds crew, they moved to Cotopaxi, CO, in 2003 to be nearer to family. Harlan was a member of Lions Club International for several years, and served as a volunteer firefighter and first responder for the Deer Mountain Volunteer Fire Department. Harlan was a “people person” and enjoyed talking and telling stories to others. He was always willing to help his neighbors, and spent a lot of time on his beloved John Deere tractor, maintaining their acreage and roads in the neighborhood. Harlan enjoyed feeding the birds and building bird houses for them. He especially enjoyed sitting on the deck in the evening, with his daily beer, watching the hummingbirds. Harlan is survived by his wife Bonnie; son Brent (Karen), grandchildren Nicole and Jackson Heetland, Westminster, CO; sisters Colleen Ferns, Patricia Rose, both of St. Cloud, MN, brother Ray Heetland, Jr., Sioux Falls, SD; mother-in-law Grace Sievers, Canon City, CO; sister-in-law Barbara Heetland, West Okoboji, IA; nieces, nephews, and cousins. Harlan was preceded in death by his parents; daughter Kelly (Keith) Schriner; brother Jerry Heetland; nephew Christopher Ferns; father-in-law Dale Sievers; brother-in-law William Sievers. Harlan chose cremation. An intimate celebration of life with take place at a later date. Memorials to Fremont Regional Hospice.